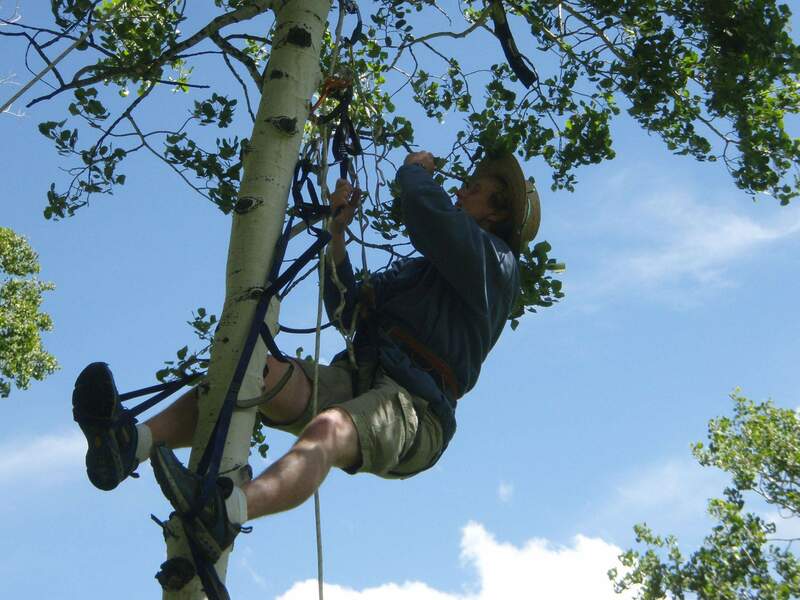 William Anderegg ventures into the aspen canopyto make measurements on tree photosynthesisoutside Mancos in 2009. 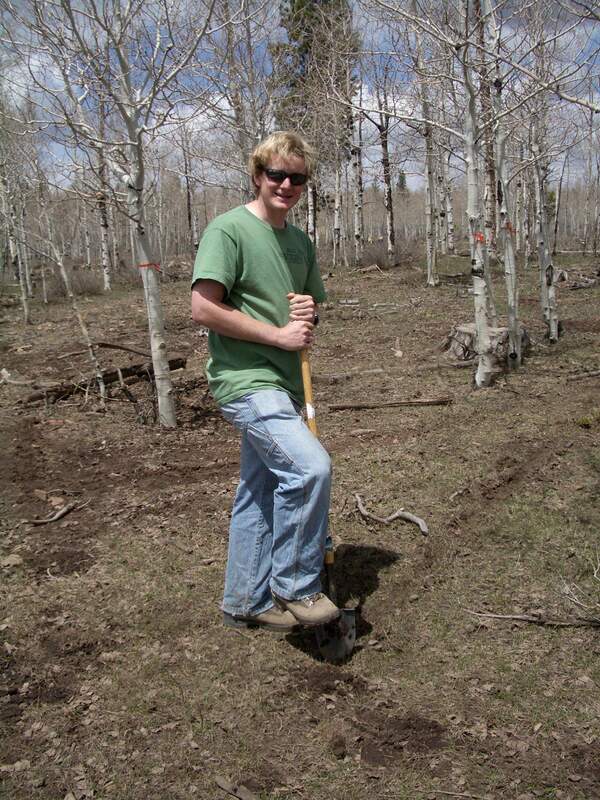 William Anderegg measures root health in an aspen clone near Mancos inMay. Sudden aspen decline, or SAD, has affected this group of dead and dying aspens near Dolores, seen in August. 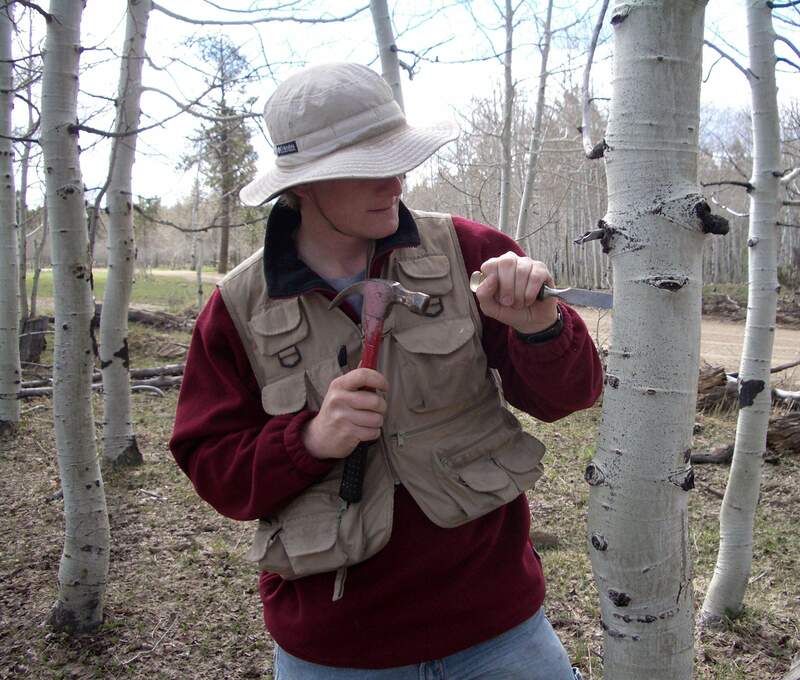 William Anderegg chisels into an aspen tree to measure carbohydrate stores in May near Mancos. The research of a Stanford University student from Cortez indicates that the aspen die-off across the western U.S. in recent years occurred because the trees succumbed to thirst, not starvation. The findings of William Anderegg, who is pursuing a doctorate in biology, were published this month in Proceedings of the National Academy of Sciences. Andereggs work was directed by Chris Field, a professor of biology and environmental earth systems science at Stanford and director of the Department of Global Ecology at the Carnegie Institution. Another member of the team was Andereggs brother, Leander, a 2007 Montezuma-Cortez High School graduate who last summer picked up a biology degree from Stanford. Sudden aspen decline, or SAD, as the die-off was labeled, began with the severe drought of 2002-04 and continued until recently when he did his research, Anderegg said. Seventeen percent of aspen in Colorado were affected, he said. Mark Krabath, a supervisory forester with the U.S. Forest Service in Dolores, said the agency has done forest-health research that documented drought-driven aspen die-off. Aspen death was most severe in the San Juan Mountains at low elevation above Mancos and Dolores, Anderegg said. There was lesser damage around Purgatory and Pagosa Springs. Anderegg said he hiked, camped and hunted in aspen forests during his formative years in Cortez. He also worked for a short time in the San Juan Mountains for a Forest Service timber crew that inventoried and marked trees for timber sales. He graduated from Montezuma-Cortez High School in 2004. Drought affected many species of trees, Anderegg said. The effects of drought on aspen peaked later and lasted longer but seem to have tailed off. Andereggs team started with two theories  either that drought was killing aspen by starvation through lack of photosynthesis or from thirst from lack of liquid. No significant decrease in carbon reserves was found in aspen affected by drought, Anderegg said. This weakens the starvation theory, unless starvation had occurred and the trees had rebounded. But affected aspen showed a 70 percent loss of ability to carry nutrients from the roots to the leaves, Anderegg said. Air bubbles blocked the movement of water. We can rule out starvation  with caveats  and focus on what is called hydraulic failure, Anderegg said. Krabath said Anderegg was methodical in his approach. Anderegg said the aspen research can be distilled to two important points. SAD resulted in other investigations. In the summers of 2009 and 2010, Fort Lewis College professors Erin Lehmer and Julie Korb studied stands of devastated aspen near Mancos. Lehmer found that aspen-decimated areas are likely homes to deer mice that carry a potentially fatal strain of hantavirus. 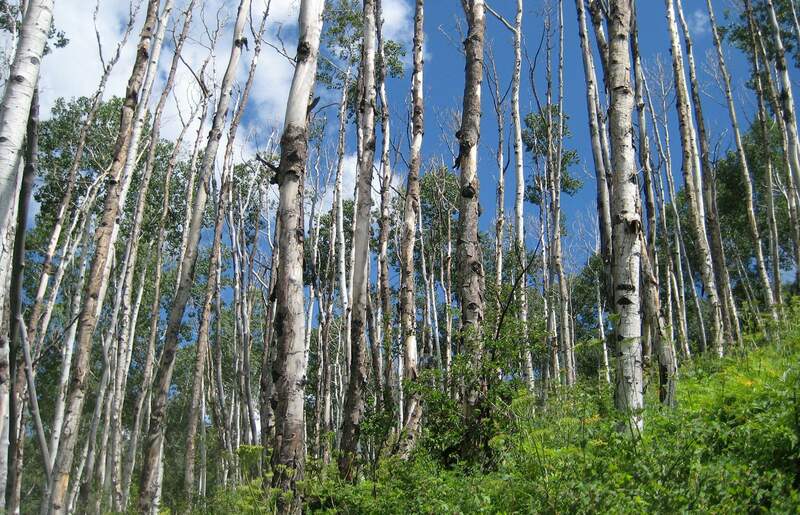 Korb studied how aspen were affected by insects and pathogens. Andereggs long-term goal is to teach at the college level and continue drought-related research.